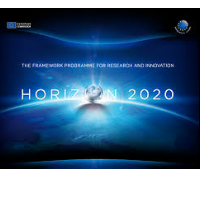 Social Sciences and Humanities in Horizon 2020 continues to be emphasised by the EC. Commissioner Moedas said that “even though Europe has been shaken at its foundation and questioned, Europe is still the answer and social sciences and humanities are the key to understanding societal challenges and to building up trust for more resilient societies”. He added that the European Commission will continue to support SSH through Horizon 2020, the EU Framework Programme for Research and Innovation, and in addition, he will personally support SSH as a vital element for understanding European society and values. Among other distinguished speakers was Baroness Onora O’Neill, of the House of Lords and Professor at the University of Cambridge, Milena Žic Fuchs of the Croatian Academy of Science. The main message from the conference is that it is important that the EU Commission continues to support research in the social sciences and humanities, both as disciplines on their own as well as an integral part of multidisciplinary research policy. Only then can we provide real evidence for building trust which will lead to more resilient European societies, better equipped to tackle the grand societal challenges that we face.